Element – Water | Diane Victor, N.P. I would like to begin by saying I am not a scientist, or at least I am not a recognized scientist. In fact even todays known science is just beginning to learn how absolutely infinite water is to our lives. Some scientists are beginning to recognize that the Element Ether plays a roll within Water. My range of understanding comes from my Universal Work with the Five Sacred Elements, which is guiding my way to precious moments of understanding. It was only after being submerged into the Sacred Elements that I realized how profound and All Encompassing the Elements are within our lives and in everything that exists or does not yet exist in form. Our water needs to be clear of toxins, pathogens, and all old memories otherwise known as signatures that were previously acquired. 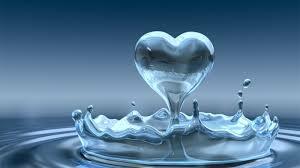 Water also needs to hydrate, carrying oxygen and healthy nutrients and memory to our bodies at the cellular level. The ability of water to uptake and deliver these positive attributes allows our body’s true innate intelligence to do its work, bringing a greater level of well-being to our daily lives. As you may know, approximately 2/3 of the earth consists of water, and 72% of our body weight is water when we are truly hydrated. It is said that the amount of water we need to be consuming each day in ounces is the amount of one-half of our body weight in pounds (if you weigh 180 lbs your ideal water intake would be 90 oz per day). However, if the water is not doing its job, can we truly thrive? Water has been polluted and we basically have less than 1% of water that is fresh to begin with upon this earth. Consequently, bottled water has become mainstreams ardent way of having fresh water in ones busy life. This is due to the fact that most of todays accessible fresh water has become toxic due to human’s uncaring or unknowing ways. However, I do not believe that bottled water is the answer long-term. Do I have all the answers — no but I do have some of the answers, and an open mind and heart to finding more…This is what the Five Elements Expansion Program is all about…It is about each of us taking responsibility and finding our way into greater knowledge and acceptance of what is truly possible. Back to water…Our waters are polluted in most cases, but what now? For Radiant Health, Water needs to be able to neutralize old emotional and physical impurities as well as carrying the positive signatures of healthy nutrition, positive energy (Chi), and pure oxygen throughout our deep cellular system. There are many ways the pure negative ionic state of our physical and energetic body can be distorted, such as: through toxic water, toxic air, EMF’s (electro-magnetic frequency radiation), stress, wrong eating, negative emotional patterns to name a few, so what now? Overall, Structured Water is the body’s way to flush toxins, while bringing its life system back into balance with the proper signatures for radiant health. What is Structured Water? Structured water is water that is filled with Oxygen, negative ions, and structured in a way that allows our body to be nourished by it at a deep cellular level. Thus the water can do what it is meant to do; cleanse, purify, and heal. 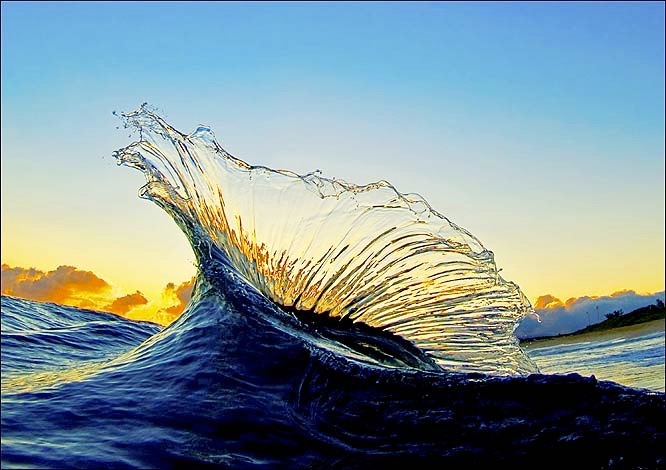 It is Nature’s movement that creates structures water. Structured water is provided by winding, fast moving rivers over boulders , water falls and other such terrain, giving us the bioavailable water our bodies so crave. There are technologies that create a double helix formation of water, its just a matter of finding the ones that truly work. It is important to note that even if you get water that has been structured, whether by nature or technology, after a certain amount of time, the structure of water becomes suspended until it is given the same type of terrain as in nature or through similar circumstances. Structured water has only been found in a couple of other places such as: The Utero Sac, healthy babies & young children , and Healthy Cells. Unfortunately due to our lifestyles and small amounts of structured water upon earth at this time, as we get older the structured water within our body dissipates, allowing for dysfunction within the body over time. Thus it is very important to have structured water, with the positive memory/signatures, carried within the water enhancing our physical and energetic life force. At this time I would like to say that I have known of structured water for over 15 years. I have finally found a Water Structuring Device that truly works and where you purchase, drink as much as you want, and will last for many years with no filters. I love my unit. It is called “Natural Action Technologies” for further information: see the video or go to store. Before we go to Signatures, I would like to say a little about how ionic states relate to our body. Ionic states are either negative or positive. Negative Ions are what the body needs to be in optimum health including our minds to work efficiently. This is being in an alkaline state. Positive Ions on the other hand, do not support good health. A positive ionic state allows dis-ease within the body, negative mind sets, etc. Thus, structured water can and does assist in raising our physical and mental/emotional well-being. Signatures are the input/intent instilled into structured water. For each individuals focus, whether in a negative emotional state or a positive emotional/mental state, it will instill a memory into the water. Positive mental/emotional/energetic states in perspective to water, creates positive signatures within the water. Your state of being makes a difference as well as your focus/intent of wellness and could include feelings like; love, healing, radiant health, peace, harmony…etc, is the key! Water’s memory is in tune with all nature, and could include such things such as healing stones by adding the stones true intent along with yours. There are so many ways, to create positive healing signatures within the water you are around, and your life. This is only part of experiencing our own true healing journey, but water does and will always be a large part of that journey as it effects our body, emotions, and can assist us in integrating higher perceptions and intentions. Taking responsibility: What does taking responsibility mean when it comes to water? In our everyday life we can take more responsibility. Most of the ways are obvious, such as keeping our oceans and waterways clean, using non-toxic substances, utilizing less water when possible, or what I feel is of the utmost importance, is keeping our minds positive with a consciousness of higher intent…We can make a big difference as we integrate higher states of being. I believe that as we unfold our understanding of what Water can truly be to us as individuals and for the Earth, water can show us its true nature as a Majestic Resonance. This is the True Wisdom of Water. Remember, water picks up and carries memory…so when you have positive thoughts and prayers, water and the other Elements carry those thoughts into nature. If you are drinking or bathing in the water, those positive thoughts and attitudes are taken into your body for the Higher Purpose of Healing, thus allowing our bodies and emotions to become one with those ideals over time. Healing is a consistent process throughout life, thus comes into the equation our commitment to the process. It is my belief at this time, the more of us that accomplish the factoring of higher principles on a daily basis, one day the “Hundredth Monkey” Effect will truly unfold! The doing part of taking care of our water is one thing, but when we bring in the positive charge of our intentions/prayers, it can and will create miracles. What More Is Possible? Let’s Open Our Minds, and Hearts, creating Positive Belief Systems and find out!! !